Free dealer and store locators will help consumers find independent consumer electronics dealers and installers. 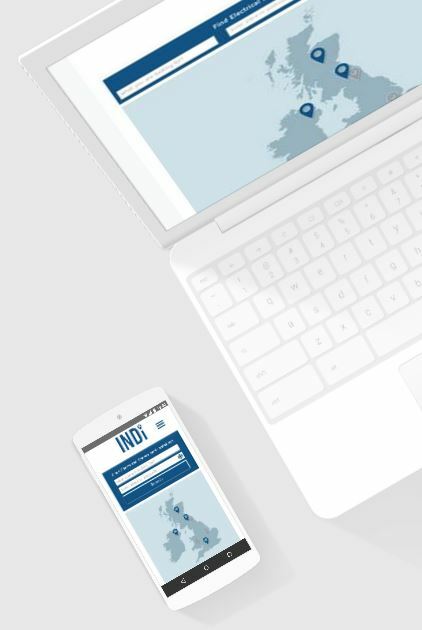 Phil Millington, an independent retailer with over 30 years in the business created INDi.co.uk to help find installers across the UK. 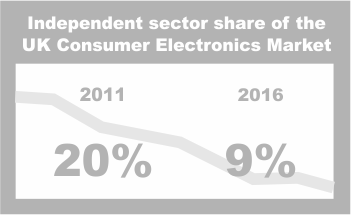 Phil attended a meeting in February at Tech UK in London where prominent members of the industry discussed the decline in independent sector sales. The market share has more than halved in the past 6 years to just 9%. Since that meeting improvements have been made to functionality that now enable INDi store and dealer locators to be embedded on any website by simply copying and pasting a line of code. Dealers and installers login and edit their own profiles. Address, opening hours, offers etc can be edited with changes reflected across all embedded searches. The page is mobile friendly and there is a premium option with lots of extra features. Because dealers keep their own profile pages updated there is virtually no admin. Manufacturers can simply login and tick or un-tick tagged dealers they want to show in their locators. Standard dealer locators are free and bespoke locators are also available. Locators will be available for other industries in the future with an emphasis on finding independents. Contact Phil Millington for more information or to arrange a demonstration. This press release was distributed by ResponseSource Press Release Wire on behalf of Indi in the following categories: Consumer Technology, Retail & Fashion, Computing & Telecoms, for more information visit https://pressreleasewire.responsesource.com/about.